The system needs to be tested fully to make sure it can handle the next steps in GST. The Bombay High Court said the goods and services tax (GST) regime wasn’t easy to use, questioning the celebratory midnight session of Parliament that was held to mark its launch. It called on those responsible for GST implementation to resolve glitches in the system that have led to frustration on the part of companies trying to file returns. The GST Network has been prone to disruption as administrators iron out bugs in the system that’s central to the tax that was put in place on July 1. 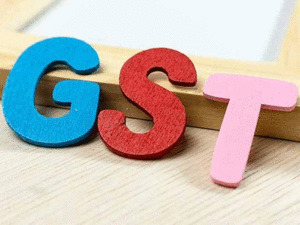 This prompted the GST Council to set up a panel under Bihar deputy chief minister Sushil Modi to look into the IT issues and led to several extensions for the filing of forms and a delay in the rollout of the e-way bill related to transport of goods. The judges of the high court suggested that the focus needed to be on sorting out problems in a reform that had been heralded with much fanfare. “We do not think that these are satisfactory state of affairs,” they said. “A tax like goods and services tax was highly publicised and termed as popular. We had yet not seen a celebration of new tax regime, but that has followed with great hue and cry. These celebrations mean nothing. The court was hearing a petition filed by Abicor and Binzel Technoweld. The court asked the government to file its reply by February 20, the next date of the hearing. It also asked the government to inform the court of the steps to be taken to alleviate taxpayer grievances related to the GST Network. “We hope and trust that such petitions are rarity and the court will not be called upon to administer the implementation of the law, leave alone monitoring and supervising the working of individual officials, howsoever high ranking he may be,” it said. The petitioner, a manufacturer of robotics and automation equipment, had approached the court after it was unable to access its online profile despite being granted a provisional registration number under the central and Maharashtra GST Acts. The petitioner said this meant it couldn’t get the final registration number and that this would expose it to interest liabilities and penal consequences. The system needs to be tested fully to make sure it can handle the next steps in GST. “It is essential that all future taxpayer interfaces such as e-way bill, credit matching, annual return filing, etc, are adequately tested and launched in a phased manner,” said MS Mani, partner, Deloitte India. The order assumes significance as GST administration is based on the technology backbone and these issues have been coming up repeatedly, said Pratik Jain, indirect tax leader, PwC.